"I love Ellicott City. I don't think there's another small town that has the feeling that Ellicott City had for me, anyway," Joan Eve Shea-Cohen said. But, the business owner is moving her shop to another location, away from Main Street. 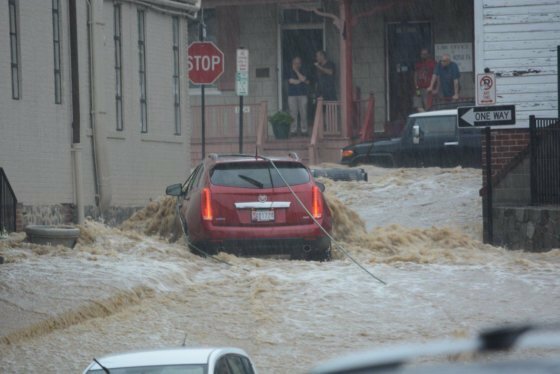 WASHINGTON — Main Street in Ellicott City, Maryland, has fully reopened some two months after being drowned by a second flash flood in two years. But while many shop owners are throwing open their doors again, WTOP caught up with one who is not. “I love Ellicott City. 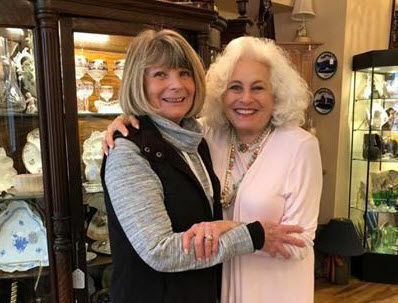 I don’t think there’s another small town that has the feeling that Ellicott City had for me, anyway,” said Joan Eve Shea-Cohen, owner of the Joan Eve Classics & Collectibles antique shop on Main Street. Shea-Cohen lost everything in the 2016 flood and chose to reopen in a new Main Street spot. Last May, when floodwaters rushed into her second store, Shea-Cohen and a friend became trapped inside. They had to break a store window to escape with their lives. “I just can’t imagine opening again, putting (in) all that money and effort … and have even the worry of customers coming to my store and God forbid getting stuck in a rainstorm that turns out to be a flood,” she said. In the first flood, she lost $260,000 in inventory and personal items. She’s not sure how much the losses from this year’s flood will add up to. Shea-Cohen has flood insurance and is still busy filling out the paperwork to make a claim. “I can’t even tell you the amount of work that it takes to get the claim in because when you lose everything, your computer and your inventory book and everything, you’ve got to recreate (them),” she said. Shea-Cohen still has a showcase at Ellicott City’s Antique Depot, where she first started selling antiques in 1996. On Aug. 1, she plans to open a booth at the Old Glory Antique Marketplace in Frederick. “So, I have a place to sell some things that I still have in my garage. It would be good if I could get my car back in my garage this winter,” she said. “The gal that used to procure items for the set and her sister … the set decorator, they invited me to come and get some things, and I’ve got to tell you I stocked up,” she said.